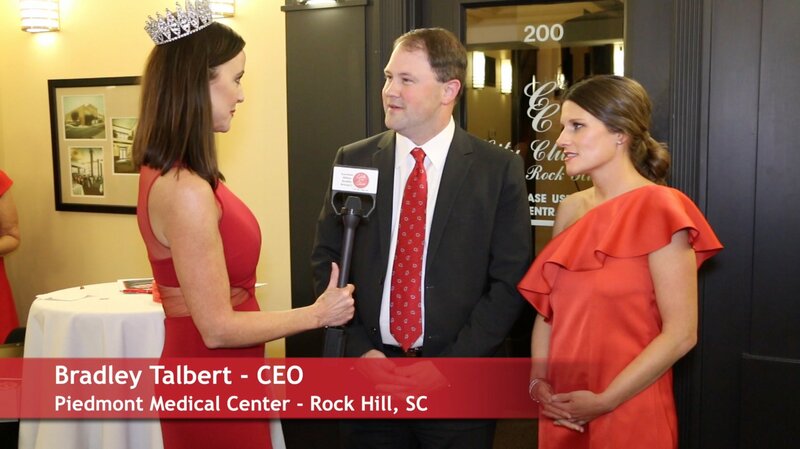 The Heart 2 Heart Foundation had their annual Queen of Hearts Gala on February 4, 2017. The proceeds raised during the Gala will benefit the community heart health programs & provide scholarships for advance screenings for women at high risk of heart disease. During the annual gala, the Foundation recognized some of their corporate partners who have made a significant contribution to fulfilling their mission. This year, they honored Carolina Cardiology Associates PA and Comfort Systems Heating and Cooling. Talk of the Town Carolina attended the Gala. Host Patti Mercer interviewed attendees and corporate sponsors. Featured in this video are the CEO and Media Manager for Piedmont Medical Center. Piedmont was the founding charter corporate sponsor for the Heart 2 Heart Foundation. Bradley Talbert, New CEO at Piedmont Medical Center, shared with us why they support the York County community. Bradley also shares his view on the new Fort Mill Hospital status. Carolina Cardiology Associates Doctor Vasant B. Patel, MD, FACC, FSCAI shares with us his view on woman?s heart disease and the steps to screen and cope with heart disease.